If you are looking for the very best and up to date construction visual project management tool then check out the new MyLiveStreams project management webcam mobile phone app – Remote Alert Snap Shot. Turn your mobile phone handset into a real time working webcam and send images or 10 second video clips instantly to a secure private online viewing platform. Remote Alert Snap Shot has been designed to work in the harshest conditions for signal strength all over the world and will work using broadband, 3G/4G data as well as standard GPRS signal. Thanks to our streaming software, MyLiveStreams can compress image and video file sizes so that these can be sent using extremely low mobile bandwidth. As soon as the user has taken an image or video it is sent instantly in real time directly to an online viewing platform which can be viewed, within seconds, from any location on a PC, laptop, smart phone or tablet with a secure username and password. The Remote Alert Snap Shot App is perfect for construction project management purposes. 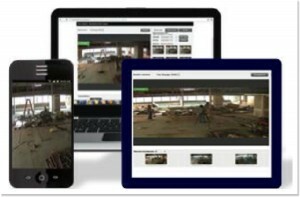 Send progress images to clients, images and videos of damaged areas, reduce travel between multiple sites and manage projects from over seas by using the Remote Alert Mobile Snap Shot online viewing platform. With full GPS location services and time stamped and dated images, Remote Alert Snap Shot App allows users to monitor exactly where and when images and videos were taken. Download, save and delete images, add notes to all images and videos and view full archives from the start of the project through to the end with the Remote Alert Online Viewing Platform. Users can also run multiple camera accounts from a master account, this is perfect for construction companies or contractors with more than one site. For more information about the amazing Remote Alert Snap Shot Mobile Phone App visit the MyLiveStreams Business Section or contact us directly for your free quote and downloadable brochure. 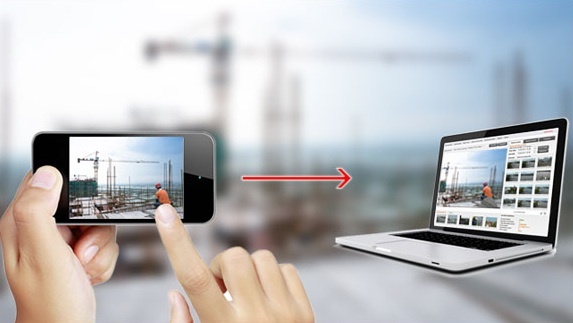 Make a huge difference to managing construction projects with this simple and extremely affordable mobile phone app. Turn your mobile phone into a live video streaming webcam with the NEW MyLiveStreams mobile phone streaming webcam app – MobileLiveStreams. 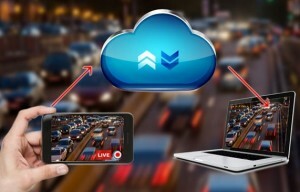 Thanks to the very latest technology in live video streaming, the MobileLiveStreams mobile phone streaming app now allows anyone with an iOS or Android device to stream live video from anywhere at any time. The MobileLiveStreams video streaming mobile phone app has been built using extremely robust streaming software which allows users to stream live video from areas with very low bandwidth and signal. The MobileLiveStreams mobile streaming app can also be used in any area or industry – security, construction, media and project management are just a few examples of areas that the MobileLiveStreams mobile streaming app can be used in. All MobileLiveStreams video streams are transmitted to an online viewing platform that can be accessed remotely with a personal and secure username and password from any device. The GPS location services allows users to view exactly where live streaming video is coming from. This is great for security, lone workers and project management. Stream your live mobile video footage to your own white labelled personal online viewing platform, your own website(s) or to a monitoring station for security purposes. Streaming live video from your mobile phone has never been easier thanks to the MobileLiveStreams video streaming mobile phone app. Share moments live at the click of a button. To check out more info on the MobileLiveStreams live video streaming webcam app then check out the MyLiveStreams partner website – www.mobilelivestreams.com – and check out some of the fantastic mobile phone streaming features that are on offer with the MobileLiveStreams mobile phone app.